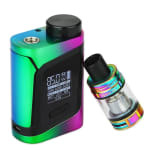 Sorry, Smok Alien Baby AL85 Kit has been discontinued. 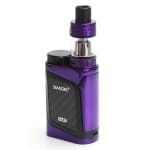 The Smok AL85 is the more compact version of the 220W alien kit. The 85W power paired with the Baby Beast tank is the perfect combination for intermediate vapers. The Smok AL85 kit consists of the AL85 mod and the TFV8 baby beast tank. 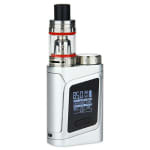 This streamlined 85W kit is the more compact version of the Alien Kit. 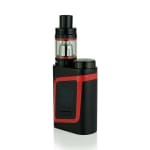 We recommend this kit for intermediate vapers as this is a more advanced system. 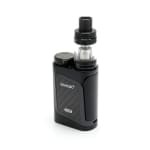 The AL85 has the same appearance as the 220W alien except for the screw cap next to the tank. This cap houses the single 18650 battery in a canteen styled compartment, removing any chance for battery shifting or damage. 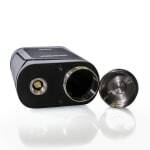 The 510 connector is seated with a 27mm deck meaning that any 25mm tank will fit with no overhang. The large OLED screen displays every bit of information you'd need, and then some. Showing everything from working power, puff counter to battery life. This mod also allows you to change the working effect, which can make the hit harder or softer. This setup is a great bridge between portability and power. It features three exclusive types of coils (and is not compatible with standard TFV8 coils) with the 0.4ohm dual coils V8 Baby Q2 Core, the 0.15ohm quadruple coils V8 Baby X4 Core, and the impressive octuple coils V8 Baby T8 Core at 0.15ohm. Note: Options for 2 colors are listed as BODY/TRIM. In the case where the body and trim match, a single color option is listed. - To power on the device fast click the fire button five times. - To power off the device lock the screen with five fast clicks, then hold fire button for five seconds, then select power off. - To lock/unlock screen fast click fire button five times. - To switch between VW and TC, press fire button and down button at the same time, then scroll through options. - To change effect of the hit, press fire button and up button at the same time, then scroll through options. Decent mod, just enough power to enjoy the subtler flavors but enough customization to keep up with my needs. Works great, and flavours taste amazing in it! I would recommend this to anyone looking for a small but satisfying vape. Got this little guy as my carry around vape. I gotta say, it’s not the worst vape I’ve ever had, but it’s not the best either. Fire bar is cool, but I find the settings difficult to navigate through. Tank is alright. Very great Vape. Make good vapors and have nice battery time. Looks very nice. Great flavour with this kit!! It’s small, but packs a good punch. Smok lives up to its name on this one. I wish it had more room for e-liquid so I didn’t have to fill it so much. Other than that, the AL85 has been fantastic for me. I wont lie.. I originally got this kit because I liked the Black body with the Gold highlights LOL. I recommend reading the manual or else youll be completely lost. 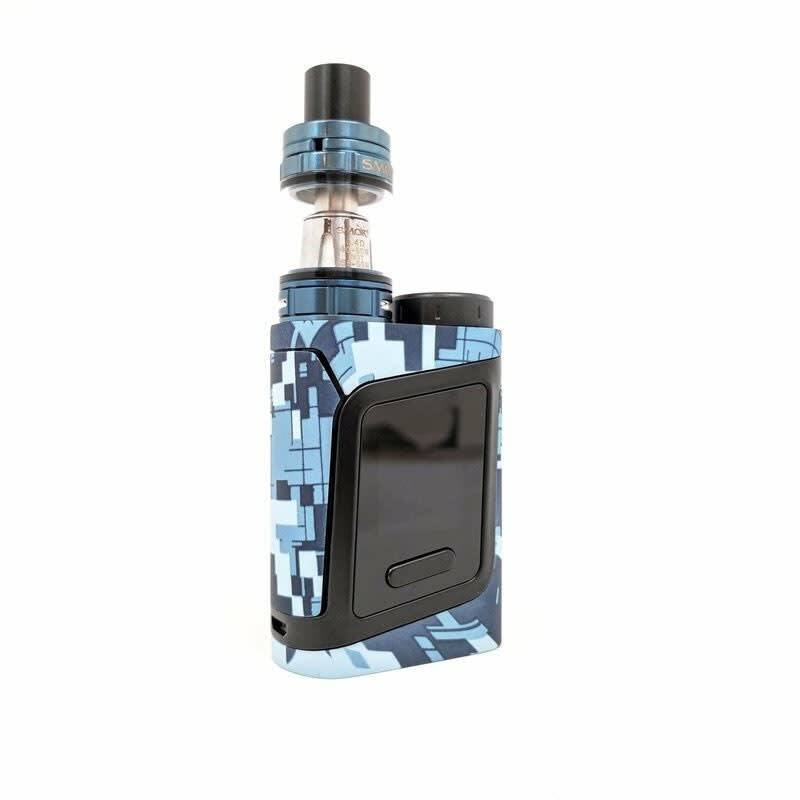 It takes a bit of getting used to so youll have to ask around online a little bit if youre on the newer side to vaping like I am, but theres a lot of options to customize what fits perfectly for you. Im using the 0.4 coil at 34 watts and im sending up smoke signals. The only downside.. and this is a huge nitpick.. is that the trigger is a bit too "clicky" for me. Its not like a small button that I had on my previous device, its like a jet fighter joystick. Like I said.. huge nitpick.. but thats honestly the only bad thing I could say about it. I got the red and gold version, so cool it looks like Ironman! Love the fire bar and the baby beast tank.